Ugh, I hope that plays out differently. Do they sell seeds or will they keep them totally in their hands? Oh they will sell seeds I'm sure, some have started already, but you can't then sell their seeds to someone else. The LP's are specifically supposed to provide seeds and stuff to the gov stores for people to buy to grow their own. It's really moving forward, some steps back, but many forward!! In all of the legal states, there are no regulatory standards (like in French wine) for naming conventions, so it has become pure marketing. I suspect, for instance, Skywalker OG will become a shrink-wrapped brand, and much less of a specific uniquely defined strain. It's even more weird here, they can't advertise with the "strain" name, so they make names up to promote with, then under you'll sometimes see the real name. Like Ghost train will be sold as Ophello or some weird name. Or dela haze will be sold as Paradise Island. Ditto on the black market.... especially in the burbs.... call something StrawBlueberry Shortcake OG (whatever that means since I just made it up), and the price rises. lol great idea, press on the spot lol. What I've found amazing is how many folks don't know about Rosin. Even dealerships. Usually, they find it fascinating, and if the squish is good they almost think I'm some sort of "certifying agency" proving to them what they already know -- they sell the best most sacred flower on planet Earth. Of course, I myself went a couple decades before learning about standing on hair straighteners. Then, I got a real press..... and as Emily Bronte said, "I see heaven's glory shine, arming me from fear"
oh man me too. It was not long ago I was doing my own iso extractions. 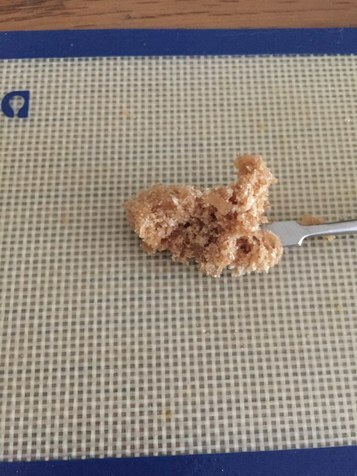 I've started Bubble Hashing (still learning) and then pressing and my God, sometimes it comes out on the level of well-done BHO budder :love: An amazing product. I want to get into closed loop BHO system as well this year and gain some experience there. I believe I've studied sufficiently that I can complete a batch properly upon start. Concentrates (except carts) are scarce here but flower is abundant, so it makes sense. @EconMan I’ve wanted to try making bubble hash. What’s the return on 1OZ? I know it varies. I've never done that small of an amount rather I do about 4oz at a time. Yield varies depending on source material, especially with respect to humidity. I recently got some fresh frozen and the results were so spectacular in terms of both taste and yield, even though the % was lower for the fresh-frozen, it produced more by volume (the fresh frozen was heavier to begin with relative to dry cured). @EconMan thanks I’m going to have to use more flower and try this soon. Dulytek DW6000 all electric, incremental settings. Flower or hash with that very low temp? Very nice looking results, man! It was the first time I really leveraged the power and convenience of my new DW6000 press -- for small squishes I seem to oddly prefer the little M800? -- and its plates and temps are CLEARLY more solid and accurate than the M800, which measures 20 degrees too hot in my experience. The W6000 is a *production* press, and I am really liking its versatility. Regardless, the little M800 is sort of the least expensive press one can get and still avoid the categorization of "hair straightener" and I do recommend it and Dulytek customer service in general. Thus far A+. Lastly, what I find so "A+" about this result, is how little plant matter got through! I've never achieved this sort of result outside of bubble hash, and even then using 40u bags sometimes not this good? My conclusion is that it is mostly the bud. High quality strain AND fresh. I pressed it within several hours of getting it (in a humidor overnight). Wow, that's a really cool temp...even if 20 degrees off that's 180F, right? I'm understanding this correctly? And yes, I haven't found a coil thermocouple I trust enough and always use a fast measurement BBQ thermo.....checked for calibration with boiling and ice water.....and there is often a bit of a difference. I am jealous as in my med legal state, while we are getting some really good numbers and effects, I haven't found a strain that just gushes rosin like some folks report. I do have some high THC strains marinating in a mason jar with Boveda's that I'm planning to squish and we will see. I believe with my NV Micro20, I have been pressing too hard and too hot.....mostly too much pressure...and I plan to back it off a bit and see what I get. Thanks for posting the pic...very nice looking rosin, mate! Yes, It's a risk. If the flower isn't worthy of such treatment you sort of waste part of it within the plant matter never to recover at PRIME ever again. Hence, my way of testing flower now is I press it. My friend, usually has multiple strains to choose from, so I take my little M800 with me and press samples right there on the spot... pick the strain that presses the best. Because here is a rule of my experience. Whether it is a existential rule of metaphysical certitude, I do not know. If the flower presses well, it vapes well; if it presses poorly, it vapes poorly. Hey guys I'm not into the rosin yet its hard to find and when you can find it its mad expensive. In the near future i will be buying a press for myself it really appeals to me. Anyway i wanted to know if there was something wrong with "shattery" rosin that seems like the consitency i would be looking for, it seems like you guys avoid that though? Nice work man!!! You may be losing some of the medicine at that temp, you would still get the same crumble at 175-180f with Grand daddy purp. Love that strain, I always get this crumble with it. My last one was a mix with UK cheese. I believe I posed my Cheese daddy here at one point. The consistency is 70% dependent on what you press, and only about 30% of how you press. If you don't like budder/crumble then always press hot, like 220f or above. It will rarely be hard like shatter though, for that you need really old keif or bubble hash. Sometimes old flower will as well but it wont' stay hard for long. Nucleation is inevitable. cool thanks man. I was planning on pretty much only pressing bubble hash. The stuff ive got growing is supposed to be uber sticky though so i may just see what happens. I'd try both to see which I like more. It'll be very different. Gman answered well already so I'll only add in short, "no". It's fine. I'll take a picture and post what mine looks like now that it has settled into room temp. it's more melted and buddery like. That pic I posted was near instant off the parchment ontop of a coldplate.... it melts into budder unless you whip it and freeze it, then break it up and then it is a little more stabilized. My goal is to discover the minimum heat where I can extract tasty oils that are still nevertheless potent. @Gman @EconMan cool thanks for the feedback guys. My only experience with rosin is a failed keif hair straightner attempt :rofl: the keif was a good deal and i thought it was gonna at least do something. Im gonna get a proper set up in a couple of months and start playing around. The problem with going to low is the cellulose surrounding the glands don't all melt until 174f. I know pressure bring the work of the heat up but I still believe you should press closer to 170 to really express all the essential oils. If you are pressing bubble hash it's a different story because it's already been removed from the plant matter. I think the difference was the flower. It was fresh. Like just cured. Science has long struggled with measurement. Sensor temp is not necessarily plate temp, and this batch had some moisture and it "steamed" a bit extra than normal (I could hear it), so I suspect actual bag temp/puck temp hit the high hundreds. Next press I'll pump it up 10 degrees and compare, just for the science of it. Yes fresh means moisture, so it'll sizzle and pop more. It'll also have a bit of an uncured taste which will go away after a few days. This taste doesn't seem to happen when you do a fresh frozen bubble first. so you recommend the DW6000? Is Bottletech a more efficient and effective method than simply packing a bag, folding the flap over, and then slide it in the press?